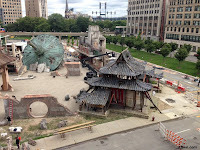 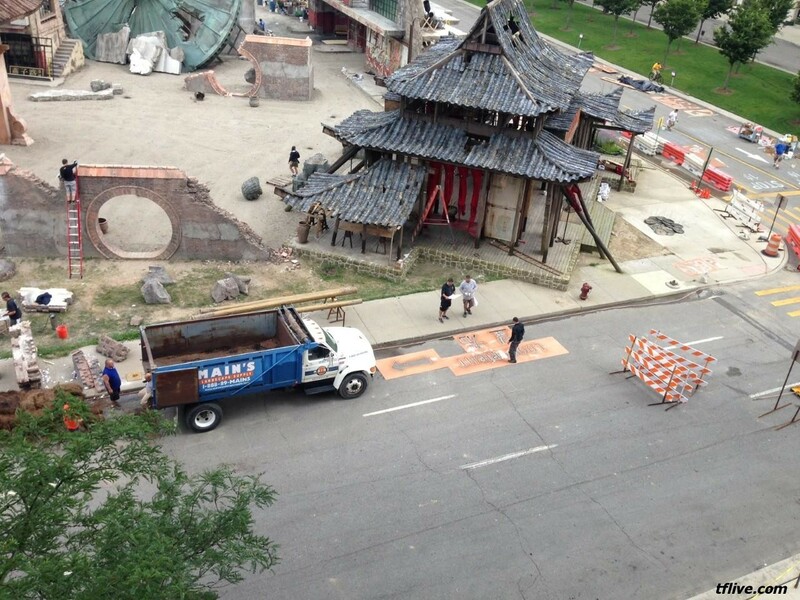 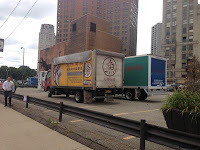 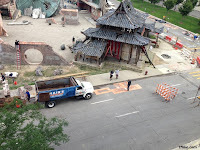 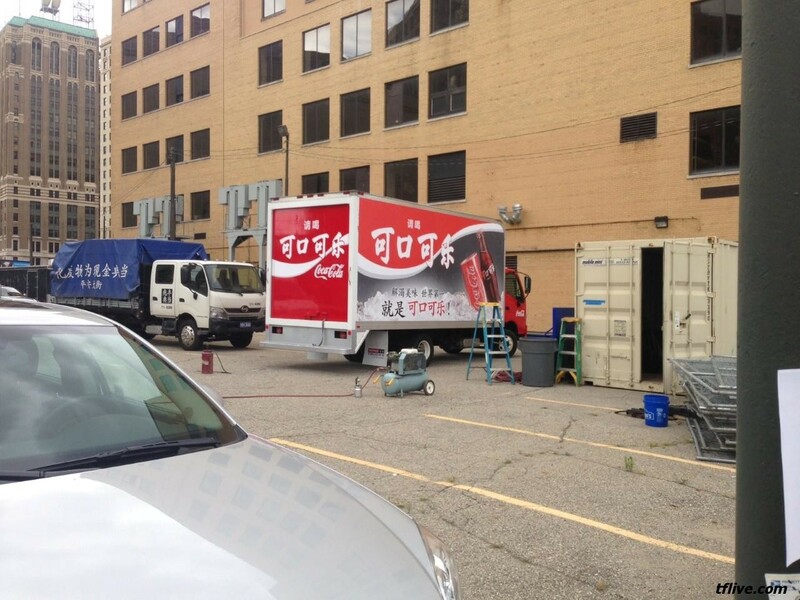 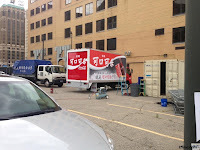 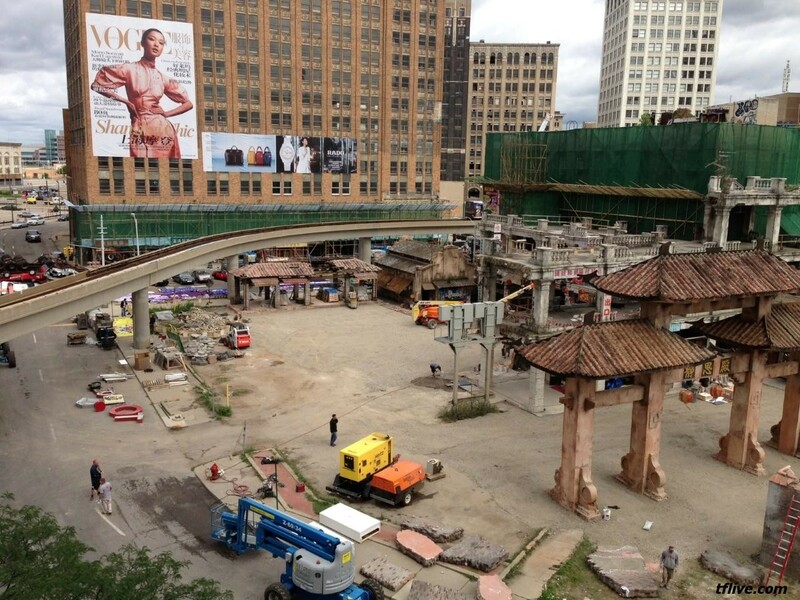 Thanks to Jerry B. here are video and more pictures of the China set in downtown Detroit. 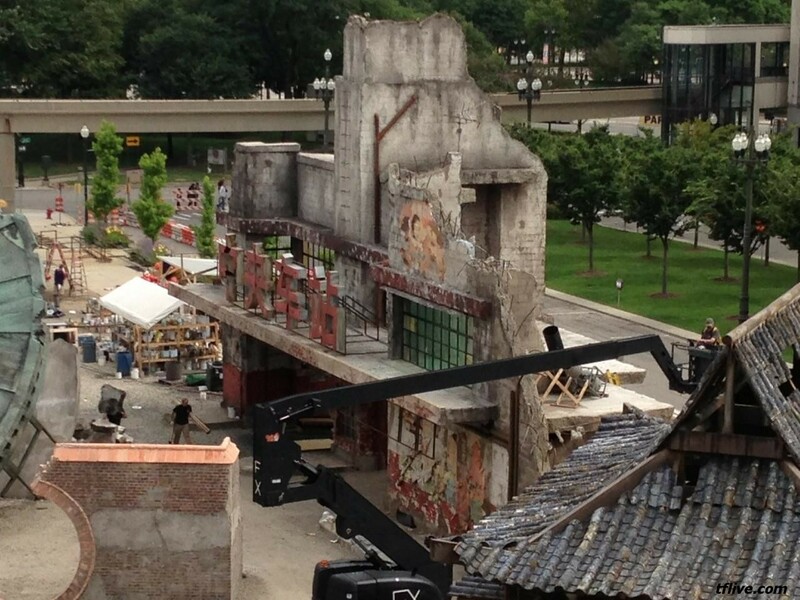 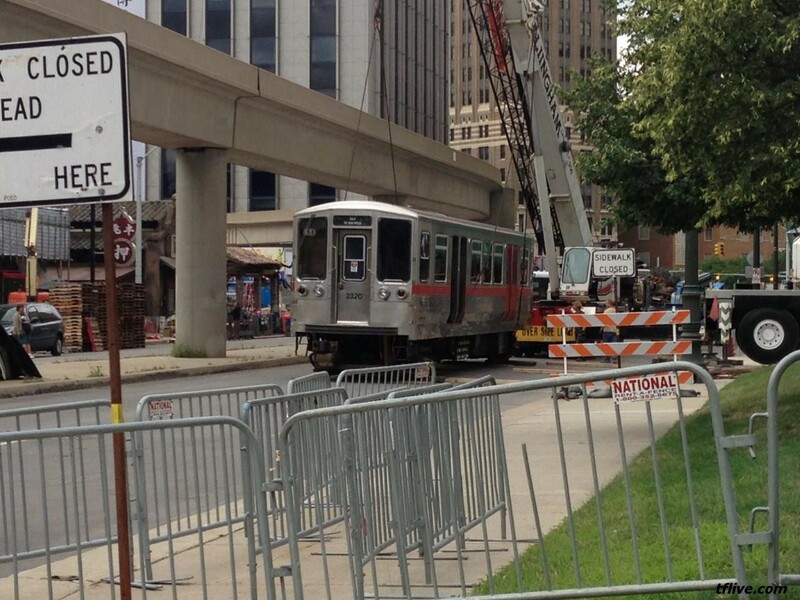 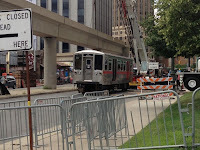 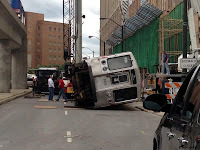 The pictures show Transformers 4 crew adding elements to the set including Chinese vehicles and a Chicago subway car. 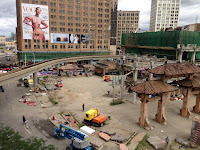 The 1st video one provides a nice overview of the China village while the other shows how easily the crew can place the heavy subway car onto its side to appear as if knocked off the People Mover (or whatever the Chicago equivalent is). Michael Bay and company are supposed to start filming at the site today. 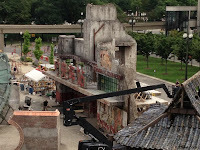 BTW I added HD of both vids. 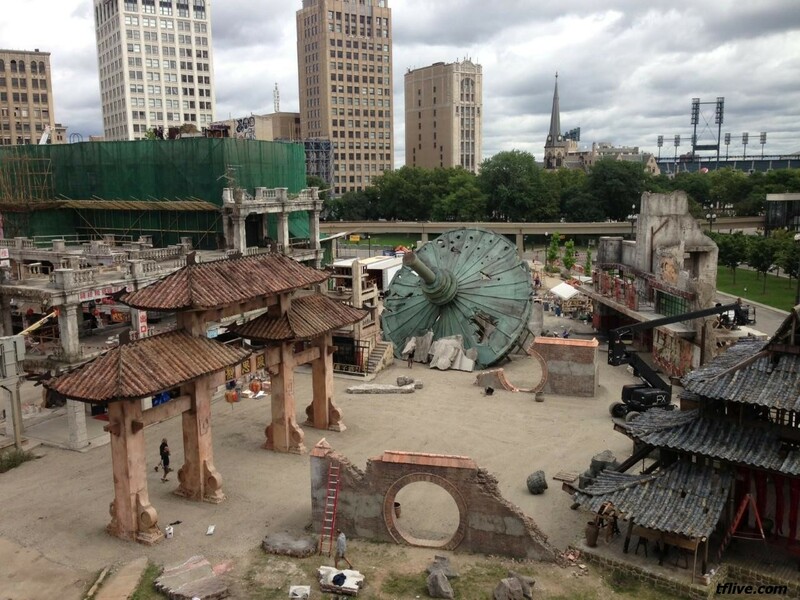 Had to wait til I got home on wifi. 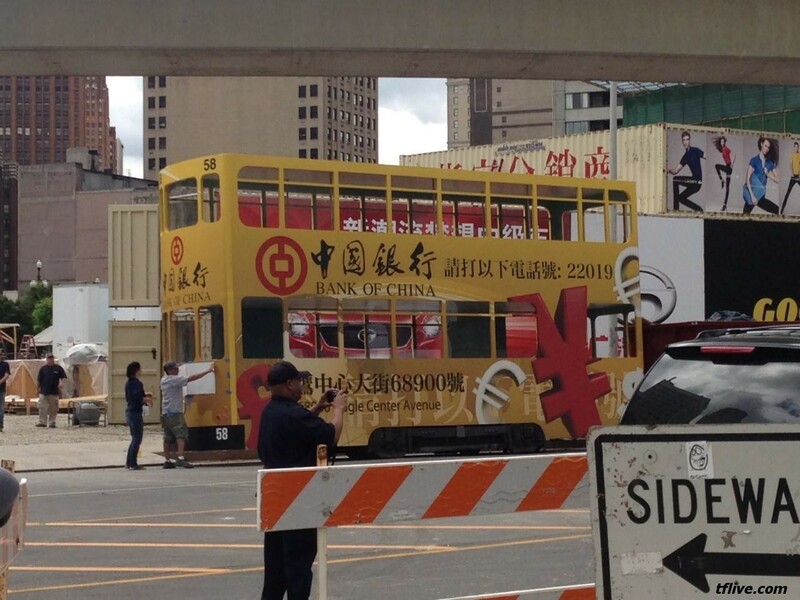 That's an odd paint job on the subway car, but then again I'm not from Chicago.